With New Years Eve around the corner, I wanted a dress that was comfy and cute. I always love wearing high necks in the Winter, and the slender silhouette along the upper half of the body for this dress is extremely flattering. It has a nice swing shape, but doesn’t make you feel like you are wearing a tent. Furthermore, for a fun feature I added extended sleeve cuffs with thumb holes, just in case you find yourself outdoors on New Years night. Certainly not necessary, but one that I thought was cute for this particular dress and can easily be tucked into the sleeve or hemmed for future use. How to sew a mock turtleneck swing dress. Step One – Measure from your neckline down to your desired length of the dress. 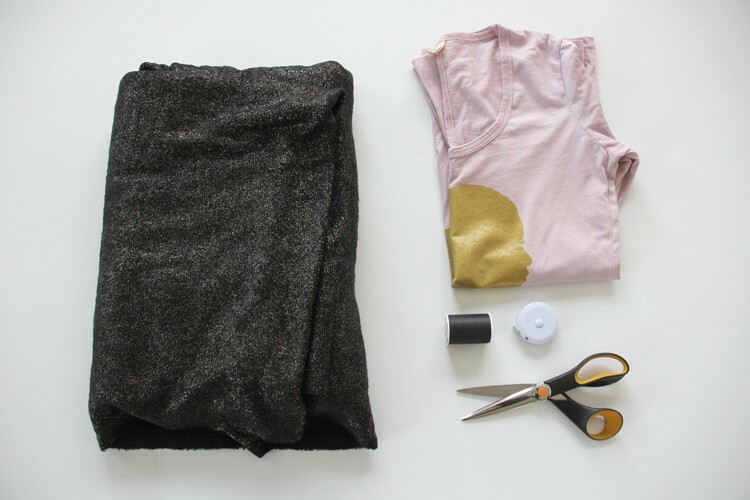 Step Two – Lay your knit fabric out on the fold, and place your fitted T-shirt along the fold line. Carefully fold in the sleeve, so that the curve of the armsyce is laying flat against the fabric. Step Three – Cut around your T-shirt neckline and armsyce, and arc out to your desired length along the side seam of the dress. Repeat for the front and back of the dress. 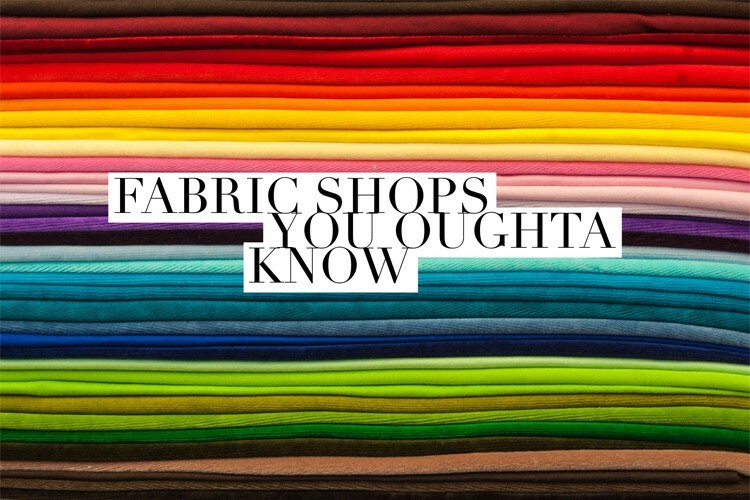 Step Four – Place the upper edge of the T-shirt sleeve along a folded piece of knit fabric, making sure the knit fabric stretch goes left to right, across the width of the sleeve. Fold away the body of the T-shirt, making sure the curve of the armsyce of the sleeve is lying nice and flat against the fabric. Cut (s) sleeves, following the T-shirt sleeve as your pattern. **Please note – If the extended cuff thumbholes are desired, then add 4.5″ to the length of your sleeve when cutting. If NOT, then simply cut the sleeve to your desired length. 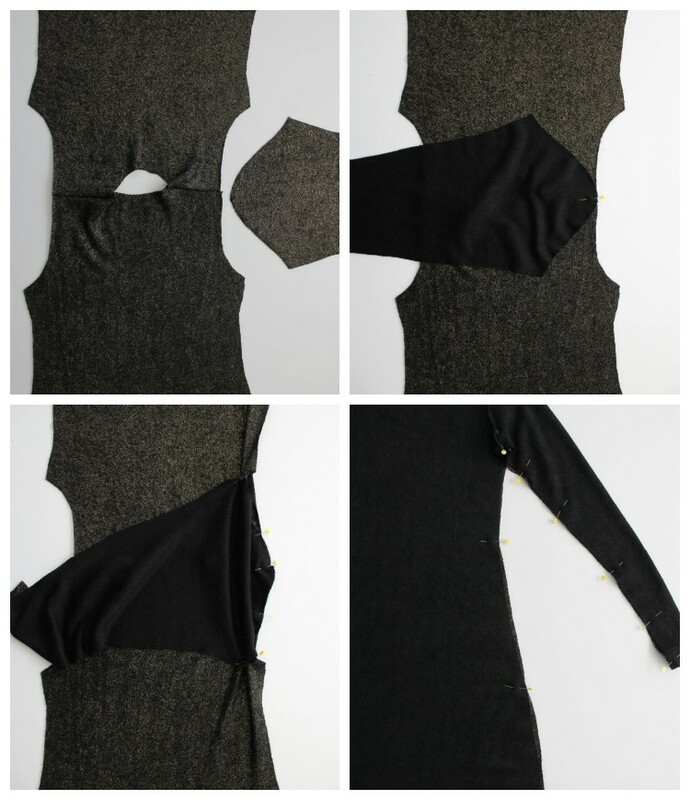 Step Five – To make the mock turtleneck pattern, lay the front and back of the dress together, matching up the shoulders. Measure around in a circle. Subtract 1.5 – 2″ from that measurement, and you have your mock turtleneck width. Step Six – Cut (1) mock turtleneck pattern your width x 5.5″L. Step Seven – Place your dress front and back right sides together, pin and sew shoulder seams using a serger, zig zag stitch, or stretch stitch. 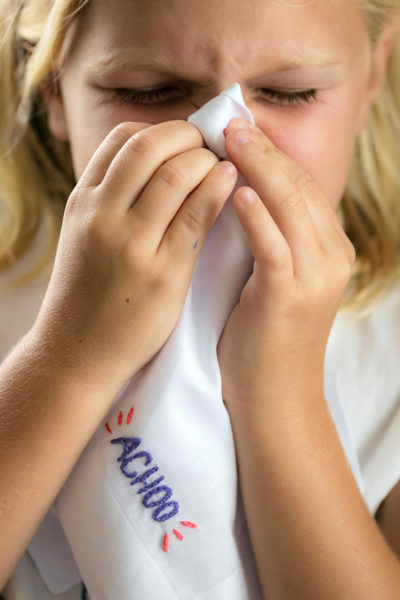 *You can use a straight stitch to sew as well, just beware of popped stitches if the T-shrit pattern used was especially tight. Step Eight – Open up the dress, and line up the curve of the sleeve with the armsyce. 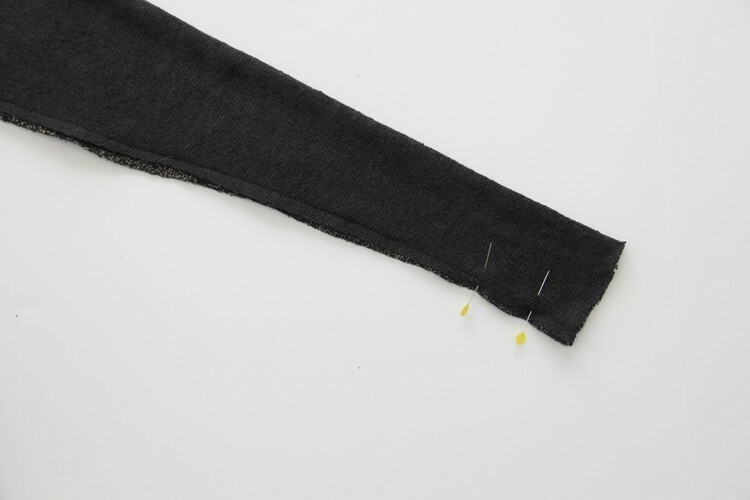 Step Nine – Pin the center of the sleeve curve to the shoulder seam, right sides together. Step Ten – Continue pinning the sleeve curve to the armsyce until you reach the side seams of the dress. 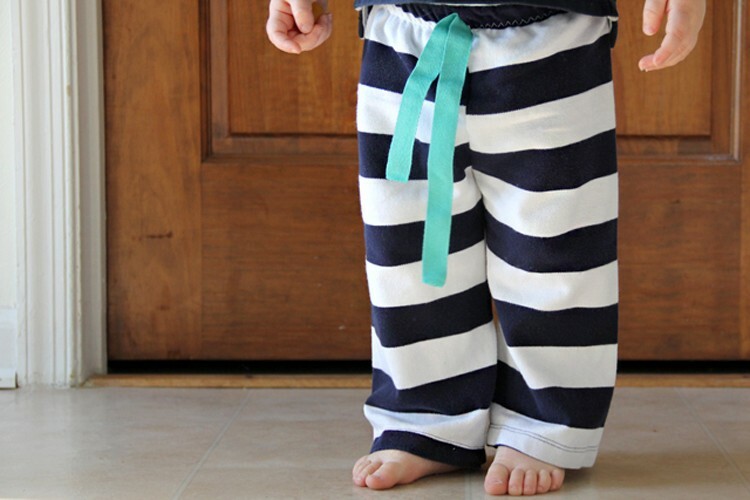 Sew using a serger, zigzag stitch or stretch stitch. Repeat for other sleeve. Step Eleven – Fold dress right sides together matching up the side seams. Pin and sew. *See next step prior to sewing side seam if sewing a thumbhole cuff. Step Twelve – If sewing a sleeve cuff with thumbholes, when pinning the sleeve and side seam right sides together in step Eleven, leave a 1.5″ opening 1.5″ down from the hem of the sleeve. In other words, sew starting from the sleeve hem…then STOP after 1.5″. Leave a 1.5″ gap unsewn, then continue sewing the rest of the sleeve and side seam. 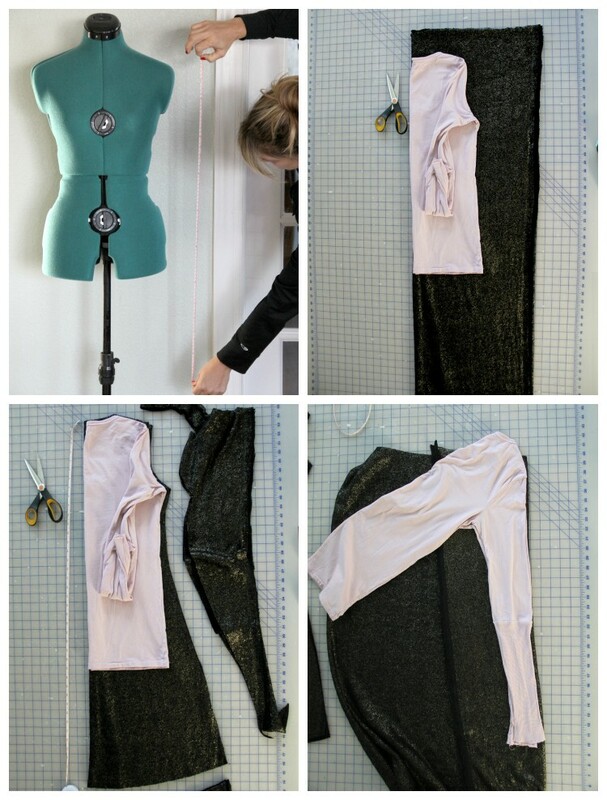 Step Thirteen – Fold the mock turtleneck pattern in half right sides together, matching up the short side seams. Pin and sew. Step Fourteen – Fold turtleneck in half again, this time enclosing the seam and matching up the long outer edge. Rotate the turtleneck fabric tube so that the seam is centered on the back and press. Step Fifteen – Slip mock turtleneck over the dress neckline, centering the seam along the back center of the dress, so that the raw edges all meet up. Pin in the front and back center, and the shoulder seams. 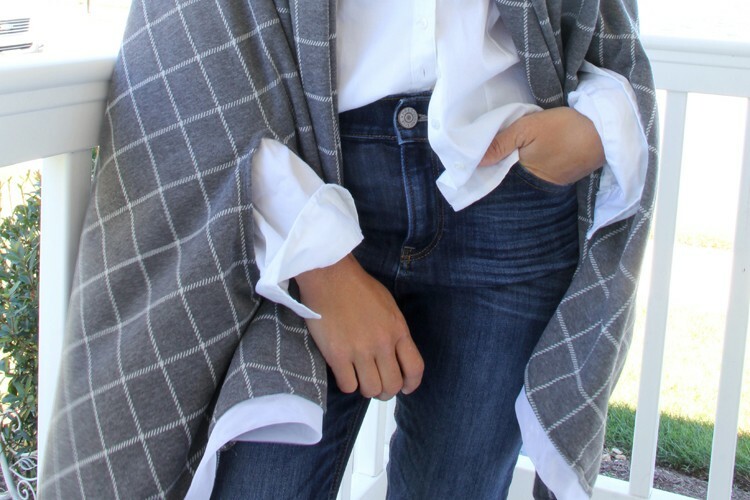 Sew using a stretch stitch, serger, or zigzag stitch – stretching the turtleneck as you sew to match the width of the neckline. Hem the dress by turning the bottom under 1/2″ towards the wrong side and sewing using a long straight stitch all around, or double needle. Thank you for a clear step by step instruction with pictures. Very helpful. I’ll be trying this very soon. This is my first time reading your blog and I forsee I’ll be reading a lot more! Happy New Year to you.